This family-friendly Gobleg villa is located in a rural location, 2.7 mi (4.3 km) from Tamblingan Lake, and within 9 mi (15 km) of Lovina Beach and Munduk Waterfall. Bali Handara Kosaido Country Club and Brahma Vihara Arama are also within 9 mi (15 km). Located in the mountains, this family-friendly resort is within 6 mi (10 km) of Munduk Waterfall, Santhipala Waterfall, and Umejero Falls. Tamblingan Lake and Banjar Hot Springs are also within 9 mi (15 km). Situated in Gobleg, this bed & breakfast is 0.4 mi (0.7 km) from Tamblingan Lake and within 6 mi (10 km) of Munduk Waterfall and Bali Handara Kosaido Country Club. Ulun Danu Temple and Bali Botanic Garden are also within 9 mi (15 km). 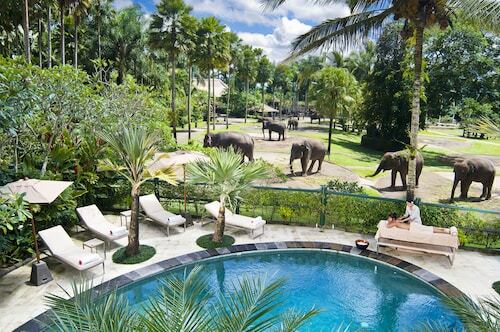 Situated in Payangan, this luxury hotel is within 6 mi (10 km) of Elephant Safari Park, Tegallalang Rice Terrace, and Tirta Empul Temple. 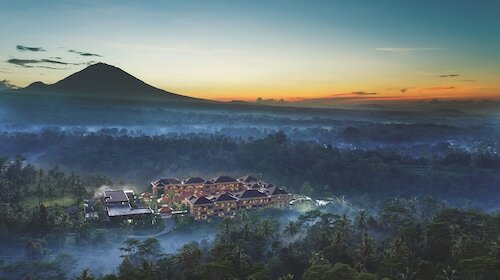 Campuhan Ridge Walk and Ubud Royal Palace are also within 9 mi (15 km). Planning a stopover in Gobleg? There are only 5 accommodations options within 5 kilometres of the city centre. Try to check out the Munduk Moding Plantation and Puri Lumbung Cottages. All these places to stay are close to the main streets. Stay in Sukasada, which is just 7 kilometres from the main center. and has 5 accommodation options available. Check out the features and facilities at The Damai and The Khana Sambangan. You may also get a place in Banjar, which is 8 kilometres from all the hustle and bustle. There are 5 available hotels here. 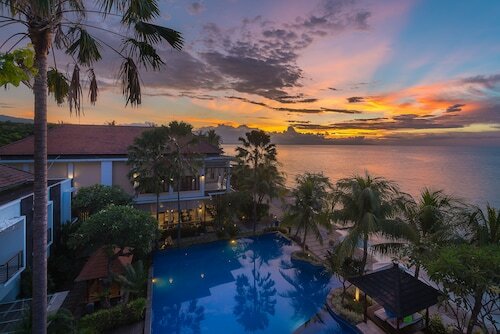 Some hotel choices here include Nugraha Lovina Seaview Resort & Spa and Villa Dencarik. 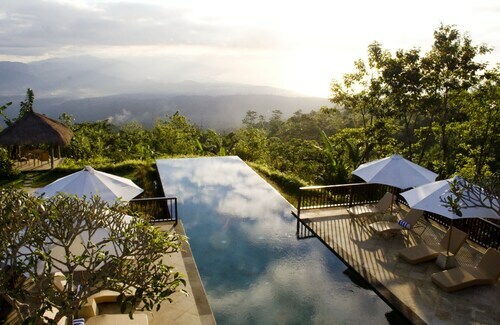 For more options, try out the Viceroy Bali and the Four Seasons Resort Bali at Sayan. They are 35 kilometres and 35 kilometres respectively from the main center. If these two aren't for you, you can try the COMO Shambhala Estate or the Villa Amrita. If you want to check out some nearby cities, consider Candikuning and Baturiti. Travel 11 kilometres to the east from Gobleg and you'll find Candikuning. That said, Baturiti is 14 kilometres to the southeast. 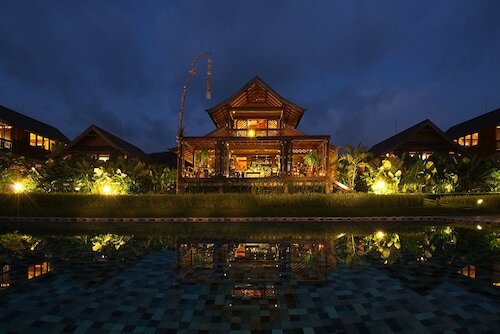 Candikuning hotels and apartments include the Puri Candikuning and Handara Golf & Resort Bali. The Royal Tulip Saranam Resort and Spa and CLV Hotel & Villa are some of the better ones in Baturiti. 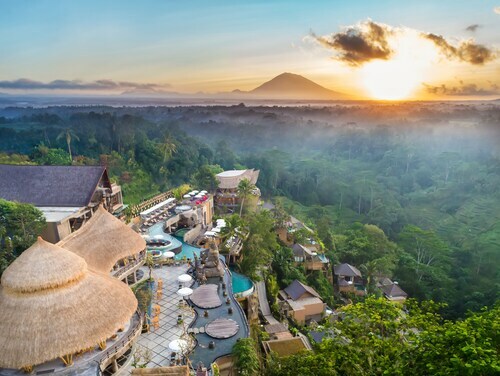 Visitors planning on arriving via Ngurah Rai International Airport may find it convenient to book a room at the Four Seasons Resort Bali at Jimbaran Bay or the Temple Hill Residence Villa, which are both a short ride away. How Much is a Hotel Room in Gobleg? Hotels in Gobleg start at AU$38 per night. Prices and availability subject to change. Additional terms may apply.